The best kept secret of bees, has multiple positive properties for the human body. Here we'll talk about its anti-inflammatory, antioxidant, and multivitamin characteristics, that make eating honey an excellent measure to take to recuperate after training. Muscle building involves stressing and tearing the muscle fibers so that they become bigger and stronger. Although the results of exercise bring us better development, the process requires some wear. That’s why people who are serious about building their bodies are always looking for substances that allow for maximum muscle recuperation. Honey happens to be one of the best. Glucose is nothing more than blood sugar. When the body synthesizes it, it participates in the metabolic processes of the organism. In other words, it provides energy for the functioning of your body. When you train, you use up energy that comes from your glucose reserves. That’s why your blood sugar levels fall rapidly. This becomes obvious after exercise sessions, when you tend to feel tired. This process of wear and tear also occurs at the muscular level after training. Therefore, it makes sense to look for ways to promote muscle recuperation, in terms of regulating blood sugar levels and the minerals lost during exercise. This is where honey can play its part in weight training. Honey is a substance that contains natural sugars, among which are glucose and fructose. Additionally, this sweetener has considerable quantities of magnesium, calcium, potassium, iron, and phosphate. Aside from this, honey contains vitamins that are truly valuable for muscle recuperation. These are, namely, B1, B2, B3, B5, and C. Even though they’re only present in small quantities, the potential that this food has for improving metabolism is obvious. As if that weren’t enough, honey is a very effective natural antioxidant. When you eat it, you’re contributing to the improvement of your body’s defenses and cellular recuperation. This is because it has a high concentration of phenolic acid, which catalase and oxidase. Many people consider it reasonable to use sugar as a way to increase their glucose levels. However, sugar is a food that contains more calories than honey. A tablespoon of this sweetener, in its white form contains 64 calories. In contrast, a tablespoon of honey has only 46 calories. Not only that, but you’re injesting a rich variety of vitamins and minerals from honey that aren’t present in sugar. Even though this food product has a lot of calories as well, it may be processed in a way that’s healthier for your body. The miracle honeycomb juice is the most caloric food that’s naturally available. But, this is a great supplement for muscle recuperation. Honey can be very useful to eat before and after a training session. Runners often include this ingredient in their breakfasts to achieve the appropriate energy state. In this case, the purpose of honey is to contribute to the energy that’s needed for competition. A good quantity for an athlete’s muscle recuperation is 32 grams of natural sugar. Eating this before starting a training session isn’t a bad idea at all. 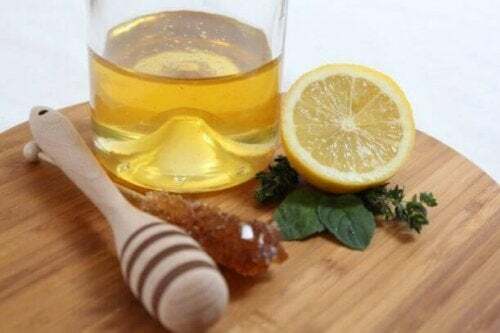 After completing an exercise session, you can mix two tablespoons of honey with one liter of water. This drink will allow you to recover energy, starting the process of muscle recuperation in a healthy way. Honey is an excellent alternative to avoiding more complex dietary supplements. In general, these are very expensive, while commercial honey tends to be more affordable. In case you didn’t know, there are different types of products related to honey. There are many derivatives and substances that you can take advantage of. For example, orange blossom has sedative properties and it’s perfect for eating before going to sleep at night. Additionally, some say that it helps to reduce muscle pains. There’s also clover honey, which is great for preventing fatigue. The properties of clover honey are so effective that experts recommend patients eat them after surgeries. For the elderly as well as children who are still growing, it’s a great nutritional food. Along the same lines, we have alfalfa honey, which is also very nutritious. As you can see from the information here, you shouldn’t consider this product to be a nutritional substitute or an effective multivitamin. Even so, we know that honey can help to alleviate muscle pain. It’s also a healthy source of energy and better than other solid foods that we could eat. Best of all, eating a moderate amount of honey shouldn’t impact your daily calorie consumption. On the contrary, this superfood gives you a lot of benefits for the amount of calories you’re taking in.